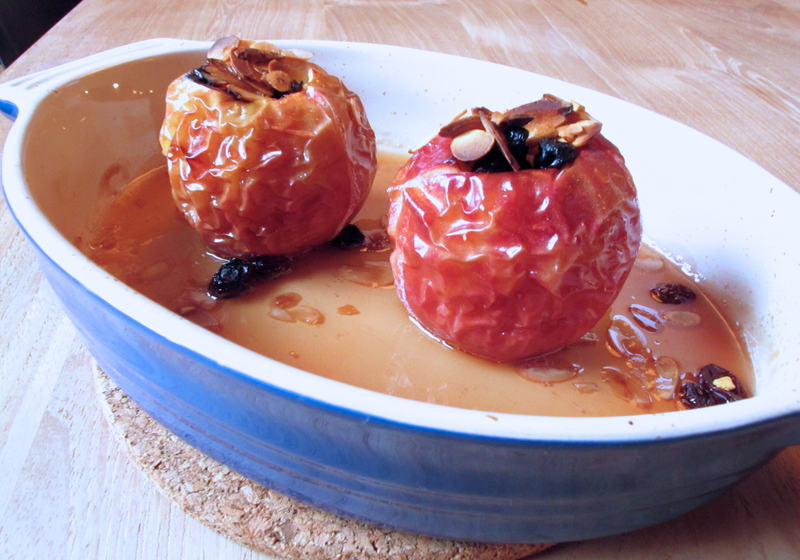 Hot apples baking away in the oven with cinnamon and maple syrup…mmmm… Why go for the full fat apple pie when you can get all of the flavor with these “skinny” baked apples? Oh and did I mention it takes about 5 min to make? Cut the middle out of your apples with a sharp knife, and preserve a little “lid” for the bottom (so the juices stay inside). Place in an oven proof dish. Top with raisins, a pinch of cinnamon, drizzle over the maple syrup (making sure to get some inside the apple) and sprinkle on the almonds. Add the water to the bottom of the dish, so the apples don’t get stuck to the bottom (and you get more of a sweet syrupy sauce). Bake for about 15 min, until apples are tender. Serve alone or with a little cream (5.5g of fat per 30ml serving) or you can do vanilla frozen yogurt. Homemade, simple and delicious. 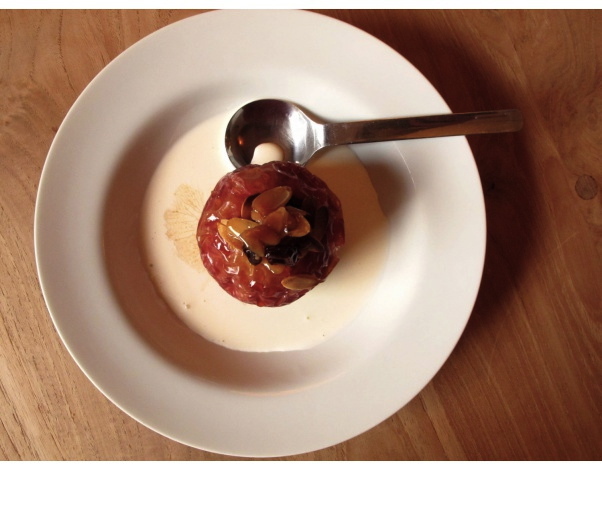 This entry was posted in BLOG, RECIPES and tagged apples, baking, dessert, healthy, low fat, model diet, quick, sweet on June 25, 2013 by Kelly O'Dell.